No, “hey bartender” is not the correct answer to this question, but the actual answer to this question is really based on what you are trying to accomplish with the call. At its base, calling a gobbler in is the most rewarding part of the hunt with the exception of sitting around the table with all the family enjoying the harvested bird. It is also the most tried and true method among Turkey hunters and one in which skill with a turkey call becomes a vital part of the hunt. Before we get into the types of calls used and the circumstances surrounding the use of the call, it is important to understand that calling poorly can be as detrimental to a hunt as walking through the field with your radio blasting an anthology of Van Halen tunes. The most adept of turkey hunters can easily move through the woods and take their share of Gobblers without the use of a call, so in addition to being proficient with the call, the hunter must all have an understanding of Wild Turkey habits and be a skilled woodsman as well. 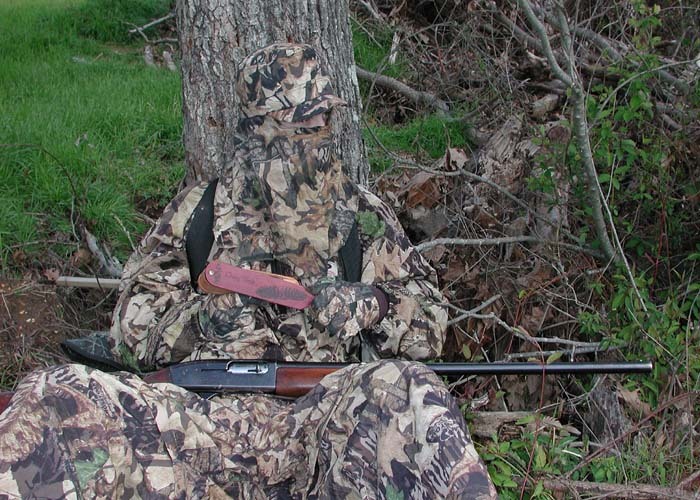 The first part of Turkey hunting is finding the birds, and as so many of us begin our turkey hunting careers by sitting in a blind at some ungodly hour, we will start our discussion with locator calls. 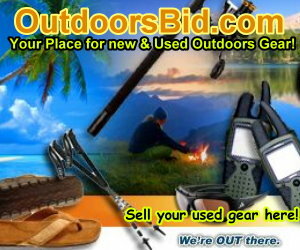 Locator calls are used to draw a response from a bird, thereby giving away his position, without alerting him to yours. 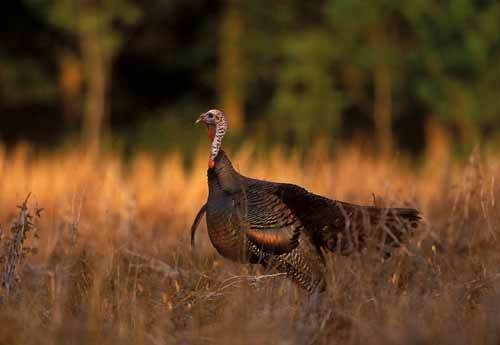 Turkeys are known to respond to loud noises such as thunder or the noises made by other animals. I was once sitting in a blind in the dark on the edge of a southern Wisconsin field when a coyote began to howl. About a second or two later it seemed like the entire woods had become the Turkey boy choir as Tom’s began gobbling from every direction. Many calls on the market today are made to simulate other animals, such as crows, and owls, and even thunder has been know to cause the Turkey to respond. Wild Turkeys can hear your call a long way off and it’s important to keep your calls short, keep very quiet and immediately listen for even the faintest response. The response to this type of call is referred to as a “shock gobble” as it is a fear reflex. I have had very good success the night before a hunt using an owl locator call and standing in an area where I have previously seen Turkeys late in the afternoon. If I can pinpoint a direction and distance to a response, I can set up a blind in an area that I feel the turkeys will fly down to or will want to pass during their morning habits. I my predictions are correct I can usually then wait for them to come or use another type of call to bring them into range. Turkey Calls that are intended draw the little beasties into range may be in the form of what is called a friction call or a mouth call. Both are capable of simulating the various yelps, clucks purrs and putts that Turkeys use to communicate with one another. Friction calls are probably easier to use but both have their advantages or detractions. I have found that since I am probably the most tone deaf person around the box call works the best for me; however it requires a bit more movement in its use and then placing it down when a bird moves in. It is quite simple to use although some practice is required to properly make the variety of sounds used in various situations. 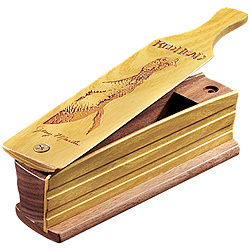 There are numerous other types of friction turkey calls such as the slate and peg call and the push pull box. At some point it becomes a matter of preference and proficiency. Diaphragm calls are another extremely popular call and are considered the most versatile of all Turkey calls. These types of calls are merely reeds strung across a frame shaped in a “U” and then placed in the mouth. Many hunters prefer this call as it is small, relatively inexpensive and can be used on an approaching bird with no visible movement. The only disadvantage for this type of Turkey call is it could be difficult to learn to use properly. Many Diaphragm calls on the market today come with a CD that demonstrates the various sounds, which makes its mastery quite a bit easier. 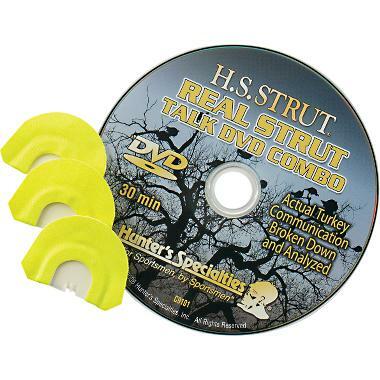 Although there are many other types of excellent Turkey calls on the market, these are by far the most popular. I would suggest practice with these types of calls to get a good knowledge of not only what the sounds should be like, but also when to use them. Again, a poor call can ruin a Wild Turkey Hunting experience. It’s also important not to practice calling in those areas you or others wish to hunt as once again, poor calling and overcalling can have a negative effect.